Achieving Brand Success | Cognitive Marketing Inc.
What does it mean to be a “brand school”? That sort of school–large or small–where people share in a promise they deliver to students. Where pride is engendered and sustained among alumni. With a vibe that comes through to prospective students whether they are on a tour, on the website, or reading their letter of admission. A brand school has a collaborative culture, fostered by senior leadership. At such a school, members of the marketing team engage faculty, colleagues, and constituents in the composing of the brand narrative as much as (or more than) they focus on writing copy and designing tactics. Staff in admissions and advancement support each other and co-author the stories of impact that the School and its people have on students. Is your school a “brand school”? Would you like it to be? Reasons why the above are true given the history and existential realities of the school. In order to build awareness of your institution, people from all of your constituent groups must be able to confidently represent your brand position. If you’ve not ever done a brand study, or if you have but the outcomes of that study are no longer resonating on campus, it’s probably time to conduct an objective evaluation of the steps you need to take. If you feel your brand is defined, to what degree has it been adopted campus-wide? Do you know how many people among faculty, staff, senior administration, the board, current students, and alumni actively utilize the brand tools? Would members of the admissions and marketing teams be able to similarly describe the attitudinal orientation and general comportment of a “right-fit” student? How about people in student life and on the faculty? Is there an appreciation for the school’s history among students and alumni across the generations? 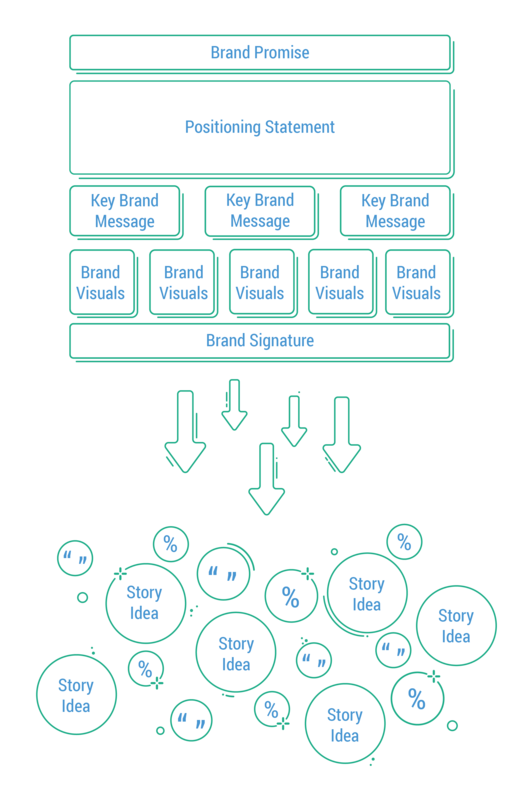 Brand guides messaging, which informs content. How often does the senior leadership team collaborate with the marketing team regarding your content strategy and the plans for its deployment? Need examples of brand done right? Holy Child School at Rosemont and Thayer School of Engineering at Dartmouth College are two examples of successful brand implementations. And, check out this post from Inside Higher Ed about the enduring aspect of the Gettysburg College brand. Want to bounce ideas around? We’ve worked with independent schools and colleges of all sizes, each at their own stage of brand development, and we’re here to help. Collaboration is at the core of our service. Ask how the Cognitive team can custom-fit brand services to wherever your institution may be along its journey of being a brand school.